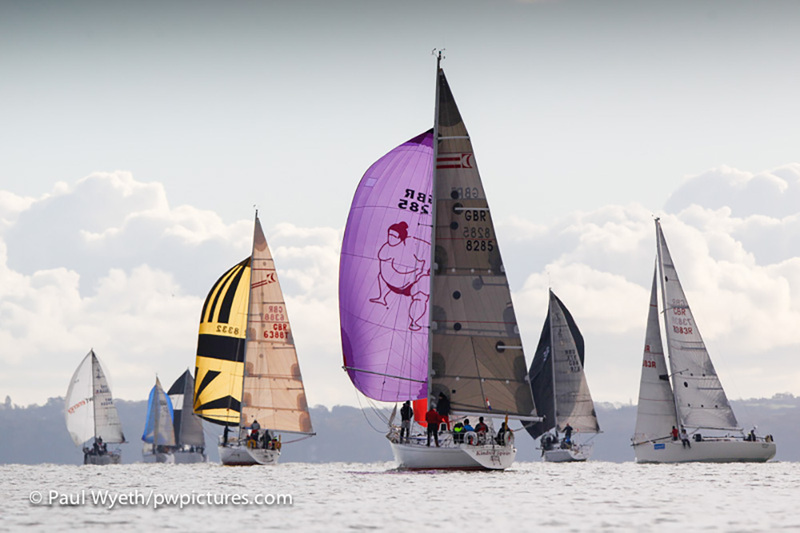 The race team faced a dilemma this on the penultimate race day of the Garmin Hamble Winter Series. An approaching front early on Sunday morning saw the forecast predicting gusts of 32 knots at start time, reducing to 10 knots by late afternoon. 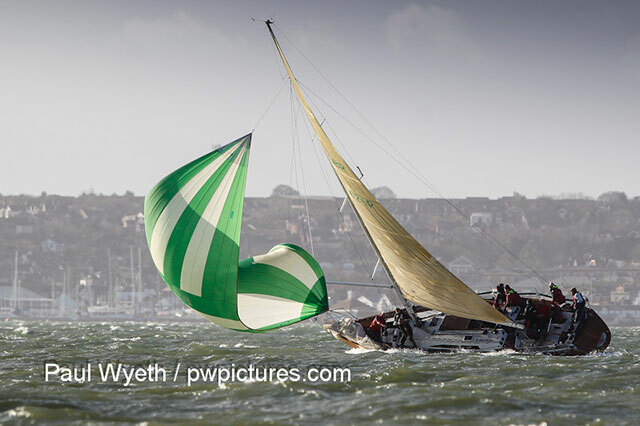 PRO Jamie Wilkinson made a good call with a two-hour postponement that proved popular with crews, giving time for a leisurely breakfast or lie-in as the wind shrieked in the rigging. 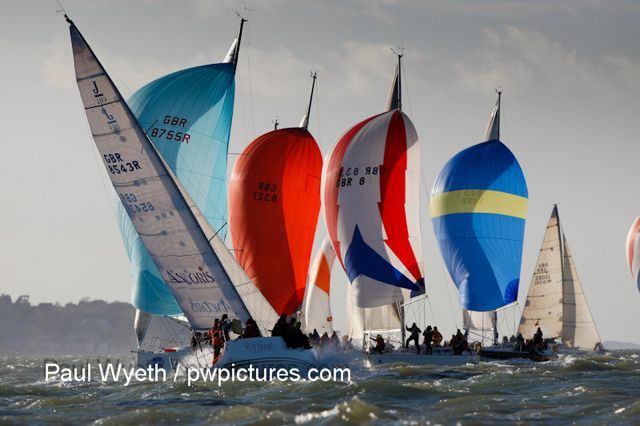 A breezy penultimate day of racing in Hamble - Photo Paul Wyeth/pwpictures.com. The gusts were still hitting 27 knots as the fleet headed out, and many boats sported reefs and small sails. A strong weather-going spring tide created a sharp chop with the consistency of concrete, making upwind progress tricky. But the wind gradually decreased as the day went on, and by 1500hrs crews were scrambling to power their boats up and were enjoying some flat water and a steady breeze as they beat home. Belladonna continued her winning form in IRC 0, winning by a large margin. In IRC 1, Jim MacGregor’s Premier Flair beat rival Visit Malta Puma by 22 seconds to take the top spot. Rivals Elaine and Steady Barker had a close race in IRC 2, with Elaine taking the win. 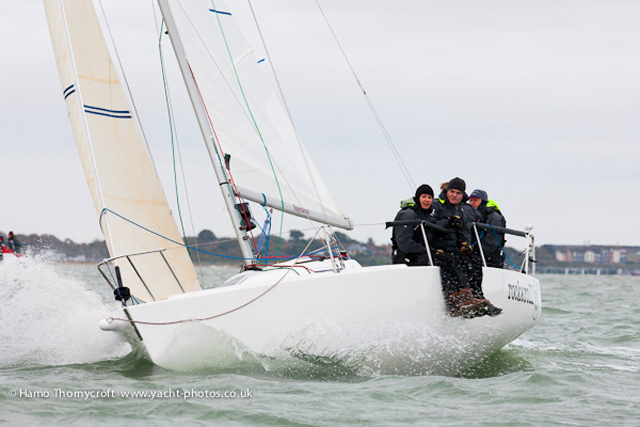 Past form continued in the J/109 class, where Richard and Valerie Griffith in OutraJeous took a stonking lead over second-placed Offbeat. 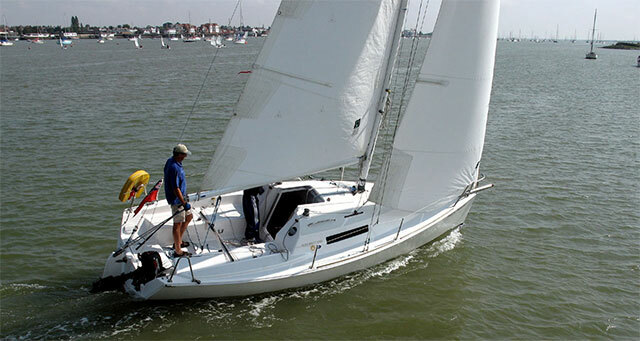 The J/97 Jika-Jika had similar success in IRC 3, ahead of the Archambault 31 ImaDjinn. 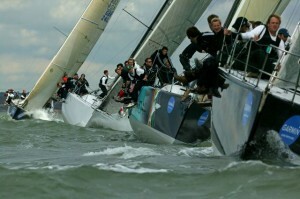 As has been the case throughout the series, the Sigma 38 class hosted some of the closest racing of all the fleets. 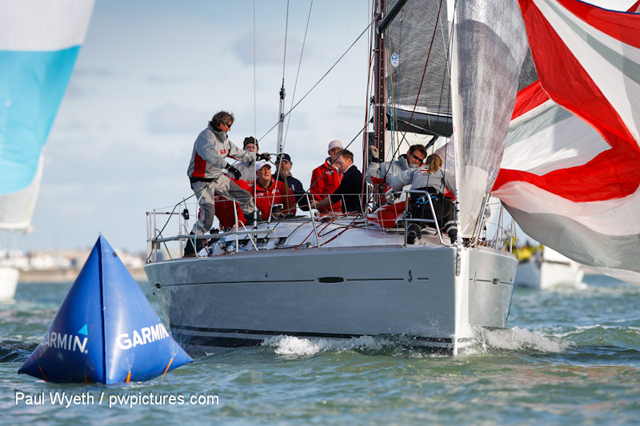 Chris and Vanessa Choules in With Alacrity kept ahead of Persephone in second and Pavlova III in third to cement their first-placed series placing. 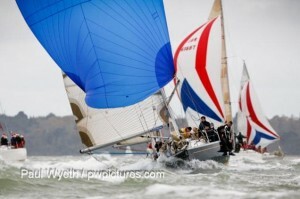 IRC 4 also had some close racing this week, with positions changing throughout. The Impala 28 Polly won on handicap ahead of the Sigma 33 Prospero of Hamble. In the mixed sportsboat class, sponsored by Rib Shop, the J/80 Jester beat the Hunter 707 Turbulence by 30 seconds to take the top prize. 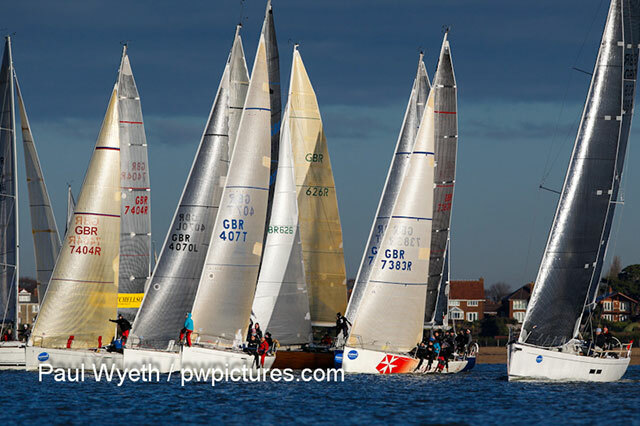 After a chilly day’s racing, as winter finally moves in after a seriously warm series, a packed clubhouse provided some welcome warmth as crews piled in for the prizegiving, with prizes this week from Yachts and Yachting and, for Sportsboats, from Rib Shop.